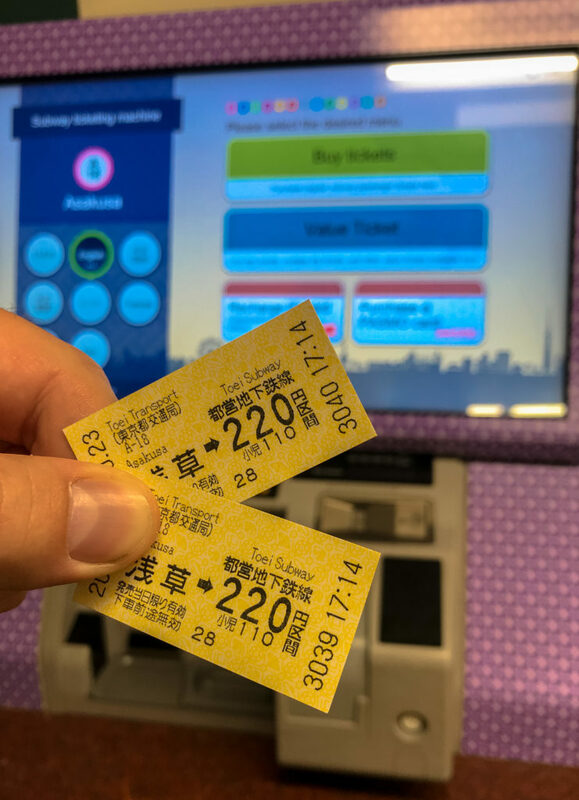 If you’ve already read my post about getting to Tokyo, you’ll already know that Typhoon Lan shortened my days out in Tokyo from three to two. 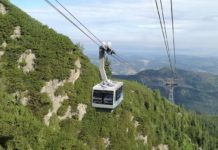 I didn’t have a set itinerary for my visit to the city, but I did have a list of places to see. After making a quick plan in the morning, we were ready to head out! And while it would be impossible to see all of Tokyo in such a short time, our plan worked perfectly for the time we had. I just couldn’t wait to go and explore the city, which I’d heard has the busiest streets and the most complicated metro lines. On the first day we could explore, which was actually our third day in Japan, we started our day with a walk from our hotel to Electric Town. It took an hour and, just like when I ventured out in the typhoon, I regretted it! We didn’t see anything great on our way until we got to Akihabara. This is a district full of computer shops, games, vending machines and some shops that have several floors full of electronics. We went to a department shop called Yodobashi Akiba, which is apparently the largest electronics store in the world! It turns out nine floors of machines and toys could be quite interesting – we certainly spent longer there than we expected! 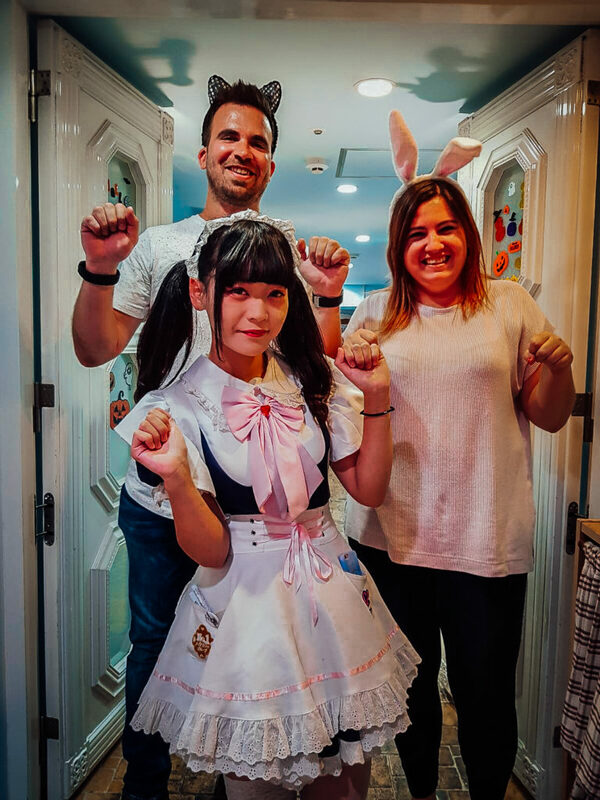 After we left Akihabara, some girls invited us to Maids Café. I had mixed feelings about it, but I knew it wasn’t a red light district style attraction so we decided to give it a try. The girl who started walking with us told us she was a three-year-old cat. She was pretty serious about it! Then she took us to a sketchy looking elevator and my doubts returned. Little did I know we were about to walk into a colourful room full of tourists! Our waitress was a super cute Japanese girl who didn’t really speak English. After asking us to repeat strange-sounding words, she took our order. We decided not to have a meal there and just chose desserts because it was expensive. I had a feeling that this cafe would be more about the experience and less about the menu. You can pay extra to have the staff perform a show, but we skipped that. Powered on by our cake, we walked to another attraction, Senso-ji. 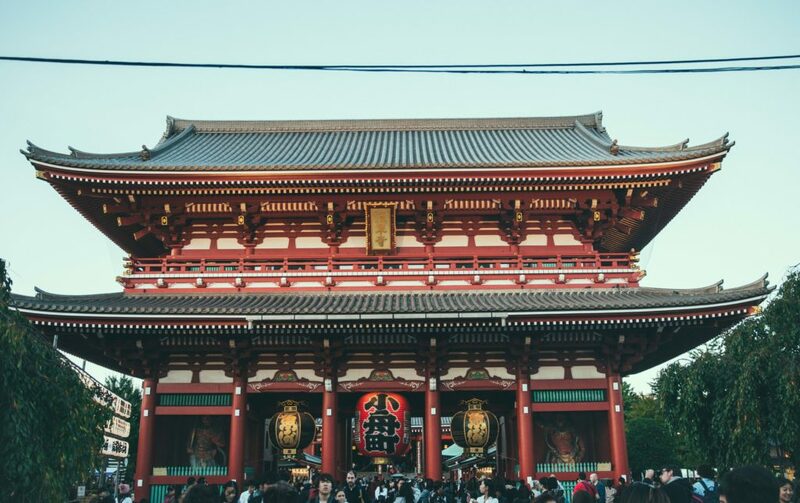 This is the oldest and most visited temple in Tokyo! 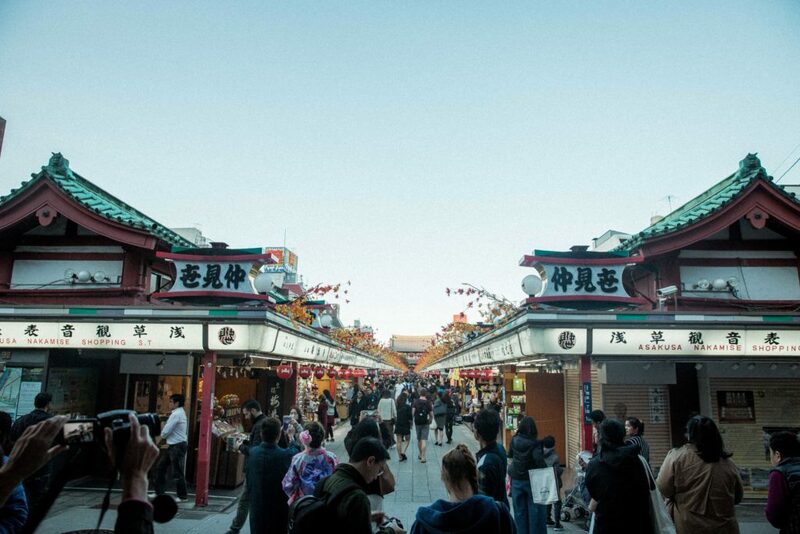 As you approach it, you go through the great Thunder Gate and you find yourself walking along Nakamise-dori. 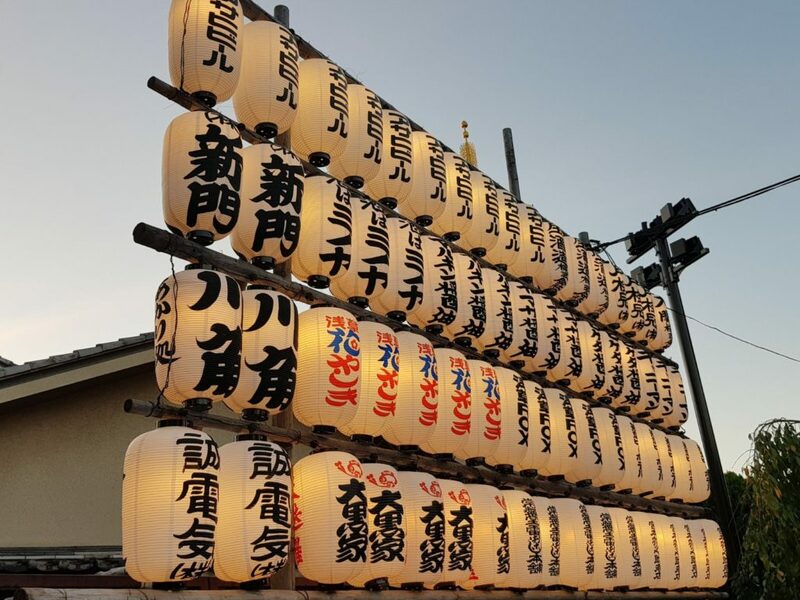 Filled with shops, stalls and other sightseers, take your time browsing the Japanese-style paper souvenirs, hand-painted fans, traditional kimonos and many other Japanese crafts, as well as the street food. The temple itself is very impressive in red and gold, with red lanterns too. We had a lot planned for the day, so we didn’t look around inside. 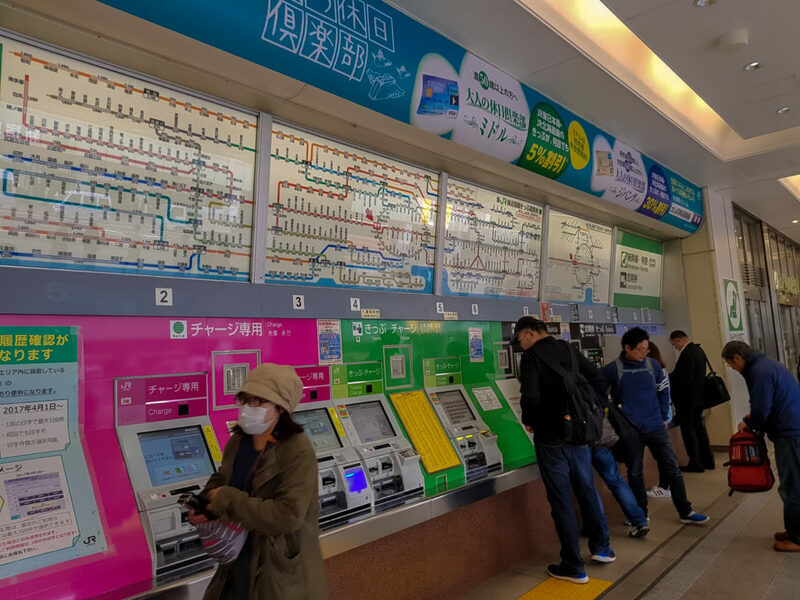 Instead, we decided it was time for our first experience of the Tokyo Metro! 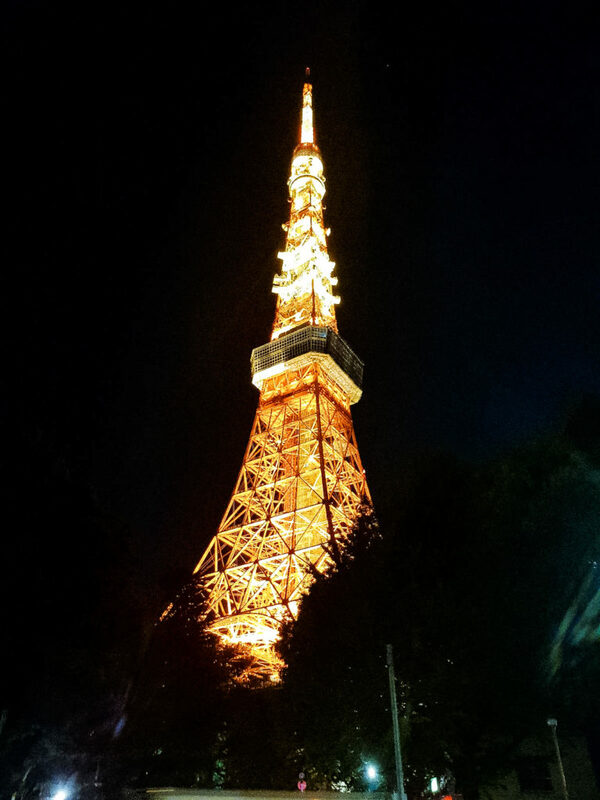 To get a little bit closer to Tokyo Tower after leaving the Metro, we had to walk through a very dark park. No one was around and we were starting to worry that Tokyo Tower wouldn’t be open. Sadly, I was a bit disappointed when we finally reached it – it was just like so many other towers. To me, it seemed like a small version of the Eiffel Tower in Paris, but maybe the view from a different side, or even from a high point in the city, would have been more impressive. Despite being very tired, our first 24 hours in Tokyo weren’t quite finished! We took another train to the famous street crossing, Shibuya. 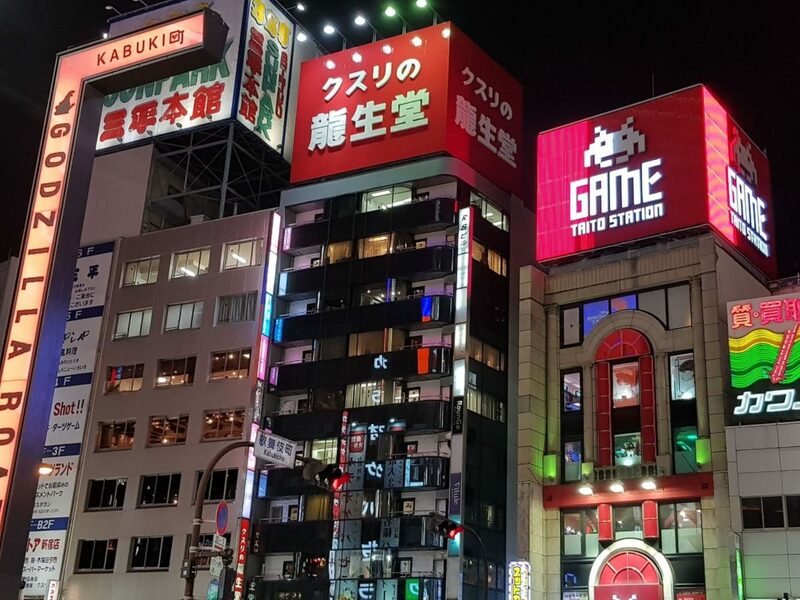 It’s been on my bucket list forever and I could not leave Tokyo without seeing this crazy place! It’s one of the busiest intersections in the world, with crossings in almost every possible direction. The local people find it normal, but for me it was very exciting to see. While we were there, we also checked out the statue of Hachiko dog, from a touching story. 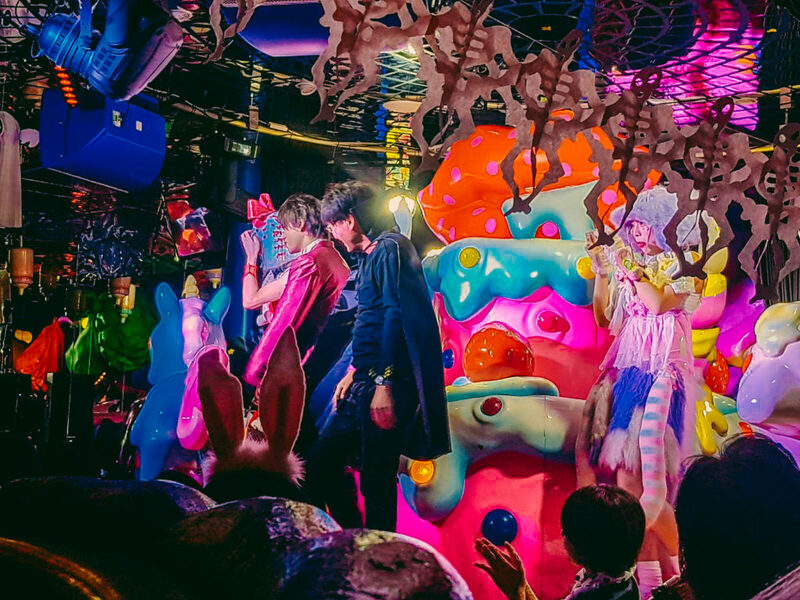 It was getting late and we were hungry, so our last stop for the day was at Kawaii Monster Café. I thought it would just be a regular coffee shop, but after checking some reviews I found out they also serve food. 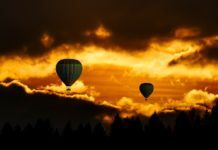 I wasn’t sure what to expect, but even so I was still surprised by our experience! After you a ride on the elevator, the massive doors open straight into the restaurant where the host welcomes you. You can choose which room you want to sit in – we chose the mushroom room but there were three others too. You have to see the interior decor to believe it! We felt like we were in a Japanese nightclub, not a cafe! The music was pretty loud and they had some girls dancing in the middle on a carousel. My favourite thing at Kawaii Monster Café was the super colourful bathroom. Unfortunately, the food wasn’t amazing so if you visit, go for the experience first and foremost, although you do need to order something to be there. 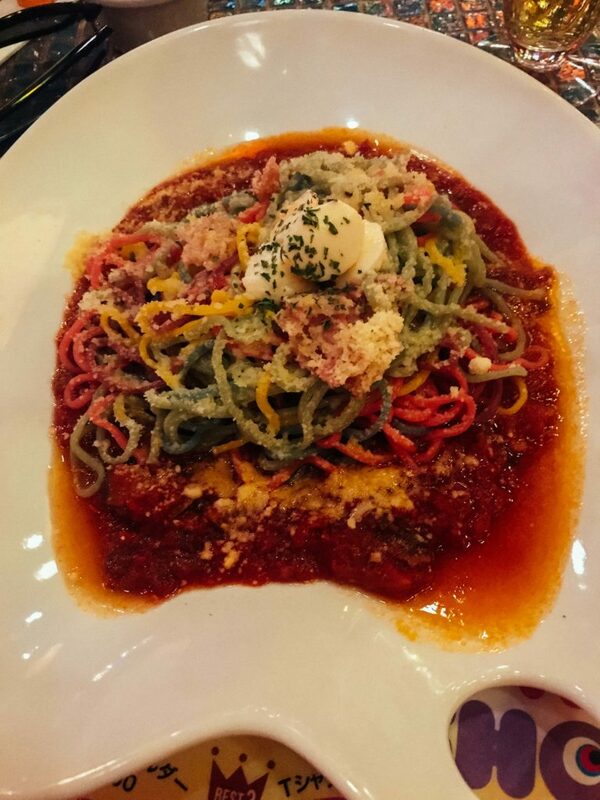 I recommend the rainbow pasta – it wasn’t too bad. After dinner we took a taxi back to our hotel to relax. It was Saturday, so we planned to check out some Tokyo bars… but we fell asleep! 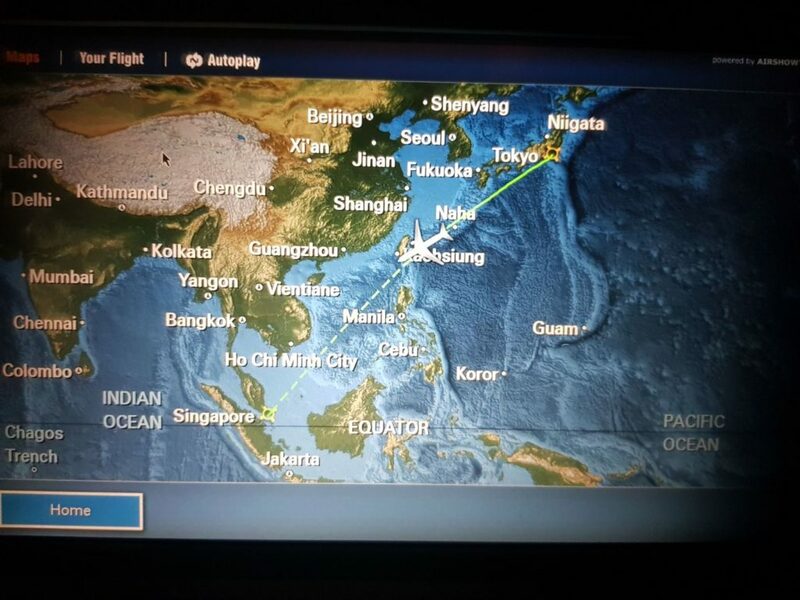 The next day we tried to sleep in as we had an overnight flight to Singapore at midnight. We didn’t manage though, so after checking out of the hotel, we left our luggage and walked to Gouvenat Building. 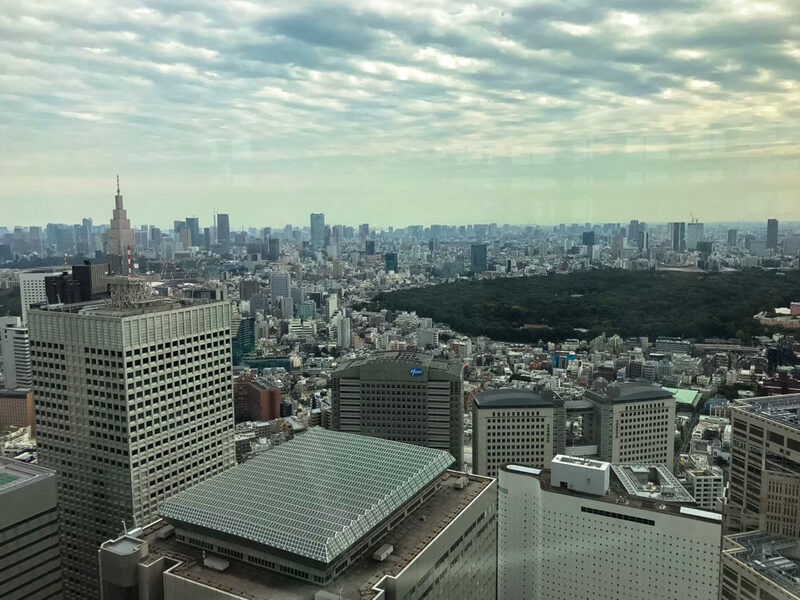 It’s located near Shinjuku station in the business district, and from it you can see a panoramic view of the city for free! The typhoon may have passed, but the weather still wasn’t great, so we weren’t able to see Mount Fuji but the view was still very pretty. Our walk next led us to Takeshita Street, which is a small shopping street with fashion boutiques, cafes and restaurants. 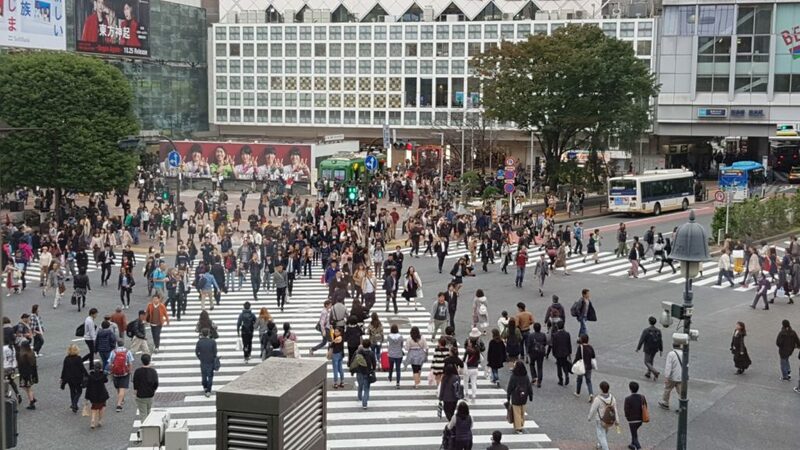 After those activities were ticked off, we had some spare time left, so we returned to Shibuya to see the crossing from a different angle. Nab a seat at Starbucks on the corner and you’ll have a prime view. 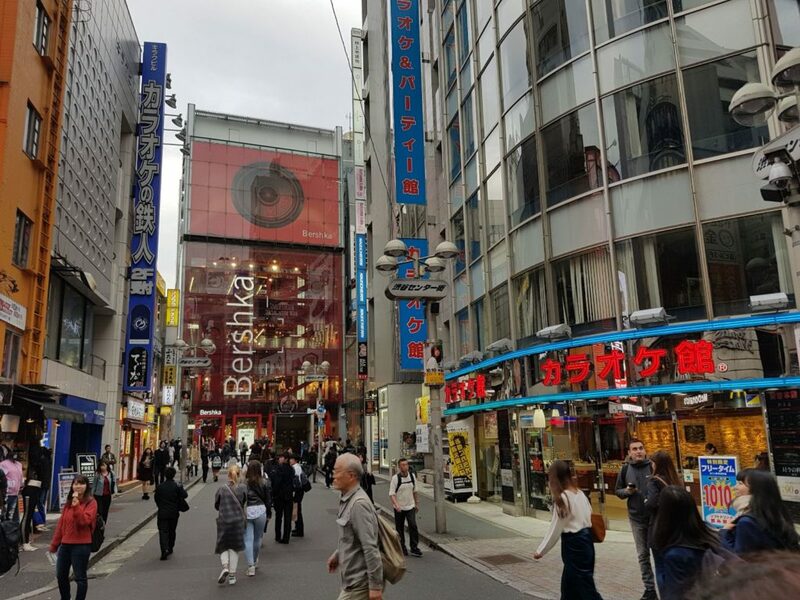 Shibuya is also well known for shopping, with stores like Zara, Bershka, H&M and Forever 21. When our stomachs started to rumble, we chose some restaurants, which again was a bit hit and miss. The miss was the first two restaurants – one was closed and the second was… good question, because we couldn’t find it! 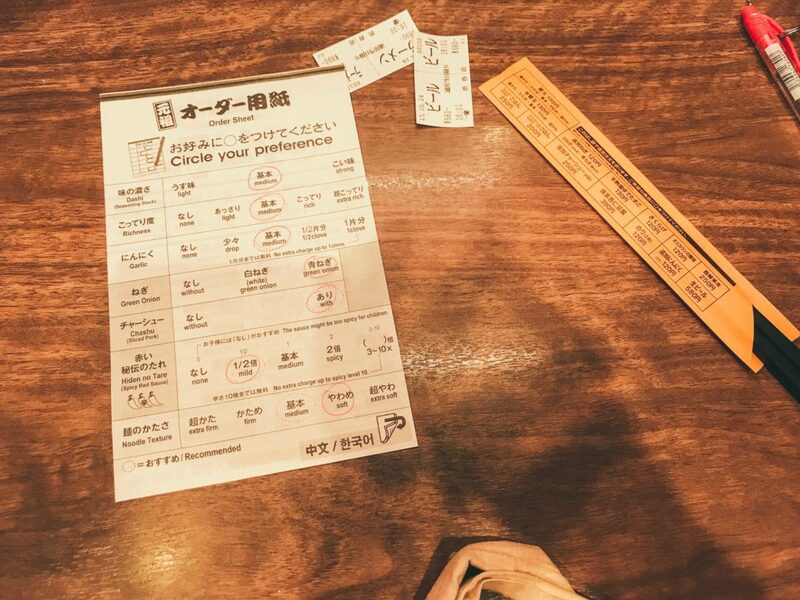 In the end, we visited ramen restaurant, Ichiran Shibuya. You pay for your food in the vending machine and after you sit down, you choose what topping you want. Each table is separate and connected to the kitchen from the front, so it’s not the best place for a date. The food was amazing though, so that was definitely a hit! The last couple of hours we spent exploring Shinjuku. 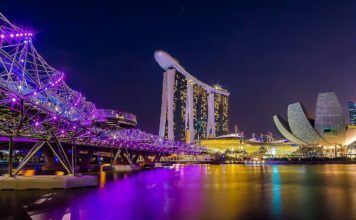 Its an area full of bars, great nightlife, crazy restaurants with shows, like a robot cafe, a red light district and endless neon lights. 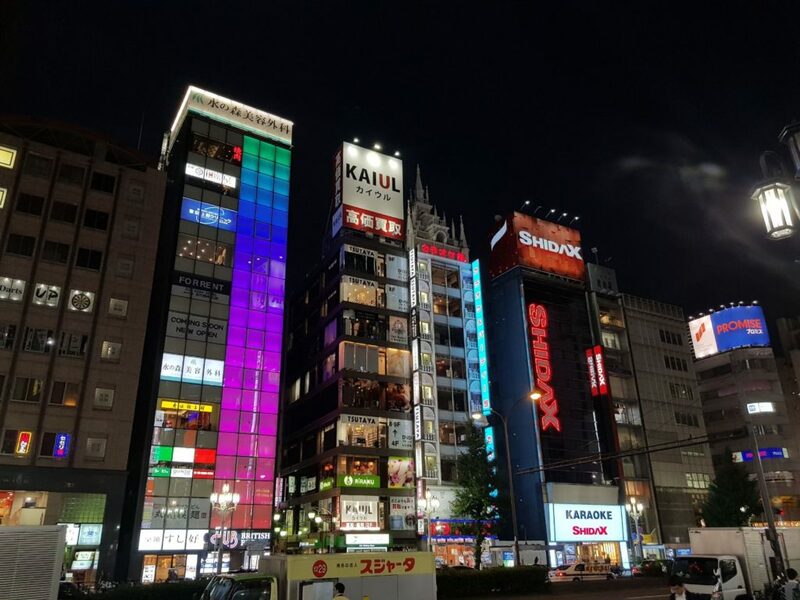 It was a shame that we only got to Shinjuku on our final day – there was so much more to see! But for us, Hadena airport beckoned. This was much closer than Narita airport, so it was an easier journey. I know I haven’t spent a lot of time in Japan, but my first impression from our flying visit was great. Tokyo was very unique in comparison to the other Asian cities I’ve visited. Sometimes I’d walk along the street thinking I was in Europe, while at other times I felt like I was on another planet! It’s a clean and modern city with a unique fashion sense, interesting themed cafes and vending machines everywhere. 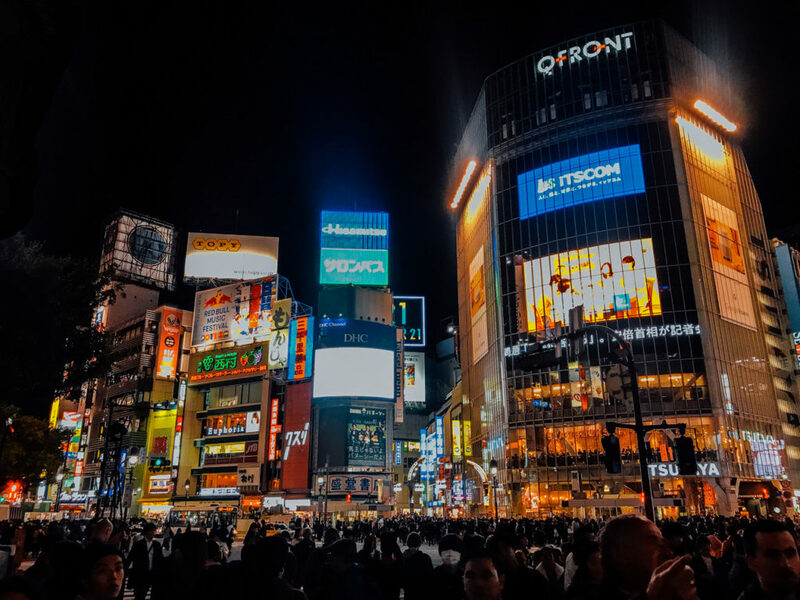 If you’re planning a trip to Tokyo or Japan, check out this guide on what to eat during your holiday to sample the delicacies, experience the culture and avoid disappointment. 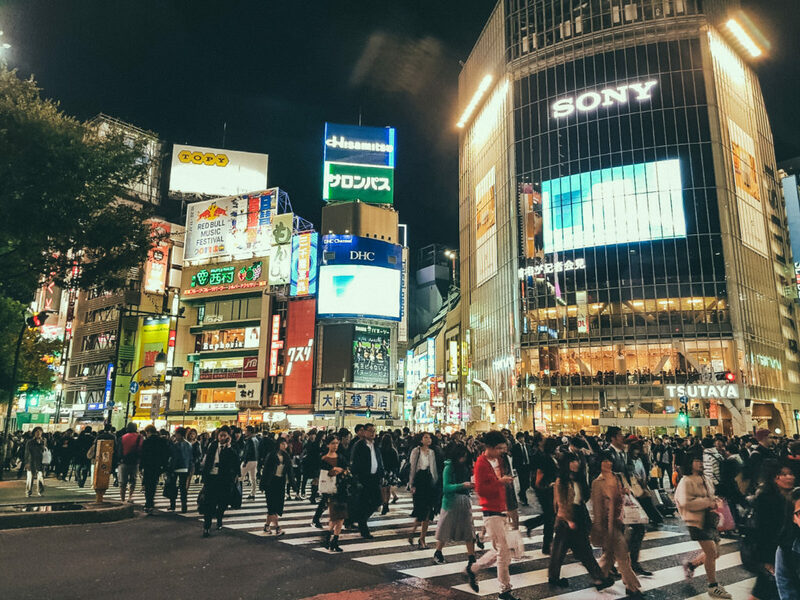 What attraction in Tokyo do you most want to see? 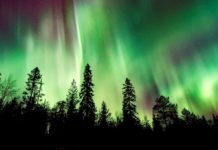 Next articleChristmas lights in London! Your trip looks so fun! I was just there this Summer! Now I’m really missing it! Wow what a jam packed two days worth of fun! 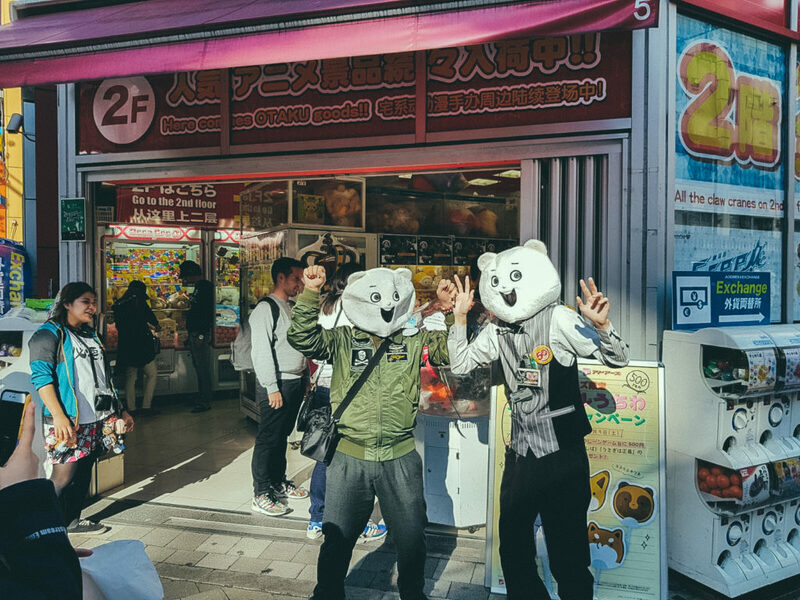 We love Tokyo and can never go there enough! Such an amazing city to someday visit! 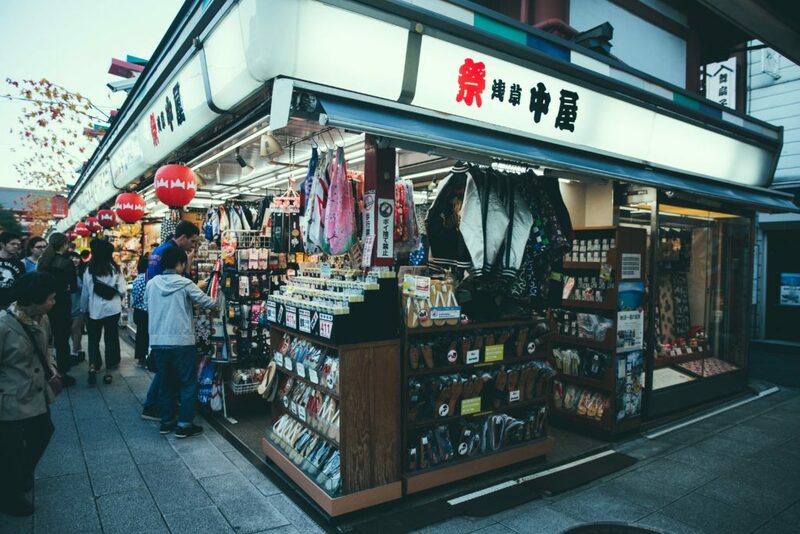 Tokyo is one of the places Ive been wanting to visit. Thanks so much for the tips. I would love to go there one day. You managed to make the most of your time! Too bad things were cut short, but as far as 48hr goes you jam-packed it. 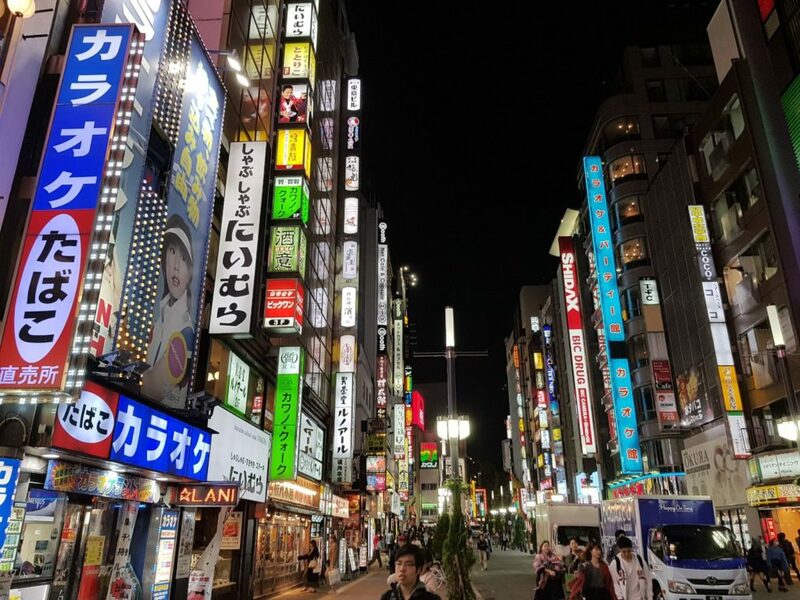 The tech geek in me wants to see Electric Town, Foodie want to try the Ramen and the lover of bright and bizarre wants to see Kawaii Monster Café. Hopefully, you get back there for the Sushi and Fuji one day. Keep traveling and posting. Adventure is better when shared with friends! 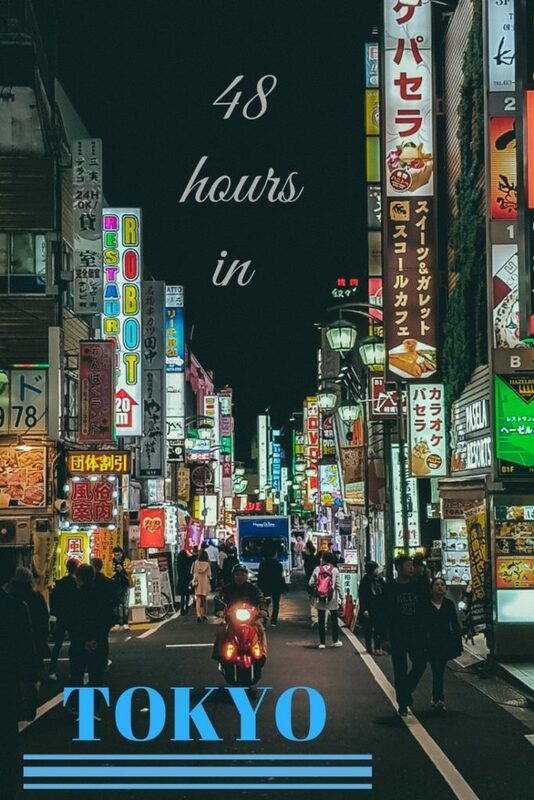 It seems like there’s so much to see in Tokyo but 48 hours might be just right so it’s not overwhelming! Thanks for sharing. 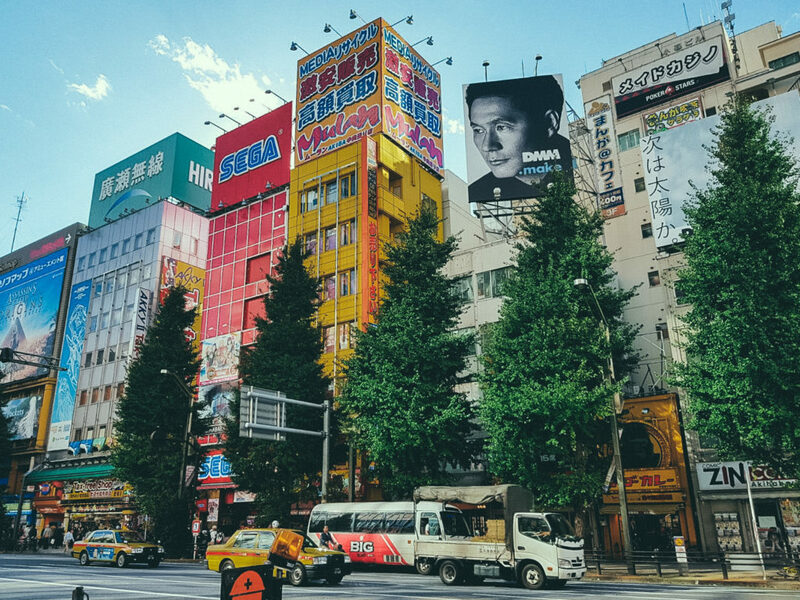 Tokyo is one of the places I have been wanting to visit. I’ve been saving to go since it’s expensive. But looks like it is definitely worth it. The food looks amazing and so are the sites that you visited. It’s amazing what attractions you can actually do, even with just 24 hours. Haha, and that robot cafe sounds cool! What a whirlwind adventure! The ramen restaurant sounds fun! 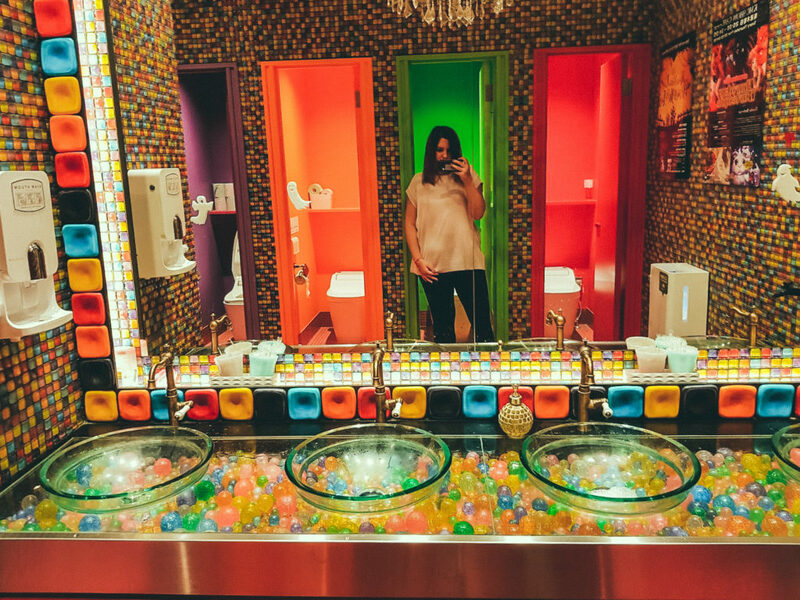 I love the colorful bathroom- it looks like the one in Cars 2 (I have small children, lol). I love the Citymapper app for getting around new places. Gorgeous photos. I’m pinning this post for future reference! 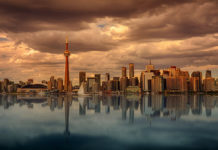 Such a busy city, so much to do and see! My brother told me about Shibuya when he visited. I guess it would be an exciting sight to any foreigners, since we don’t have something similar back home. I can’t wait to go check it out too! And the awesome views from the Gouvenat building for free is definitely a must-do! This looks like fun! Did you feel that 48 hours was enough time to do everything in the city you wanted? I know you mentioned regretting not seeing Mt. Fuji etc. but the city itself was doable in 48 hours? Wondering as it’s on our list but I never know how much time to budget here. I love that this is an honest reflection of the things you liked, the things you didn’t and the things you missed. The cat cafe looks like a very odd experience. All the photos looks just how I’d imagine Tokyo to be! Terrific article – you saw a lost in your 48 hours there. I haven’t used the Citymapper app and will check that out. 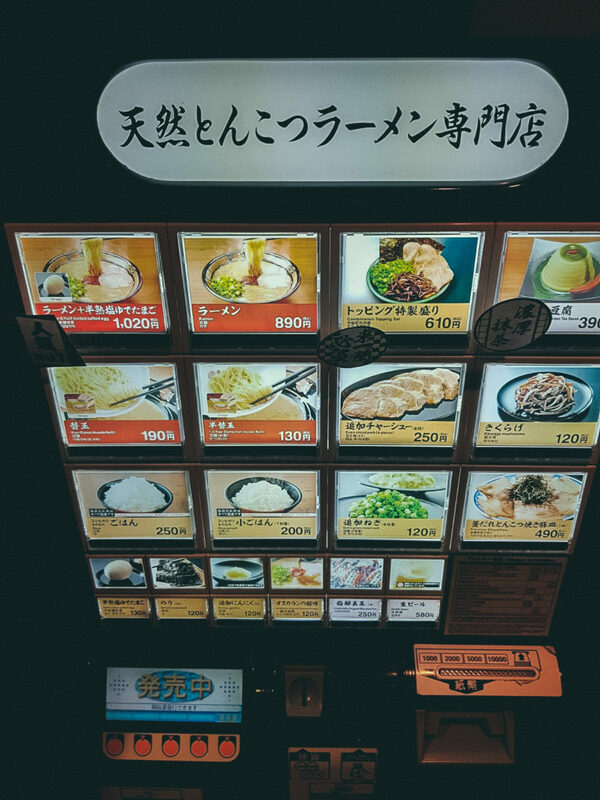 The ramen vending machine idea is so interesting. And wow, Japan knows how to create FUN atmospheres in restaurants! Tokyo is such a fun and unique place. I was there for a few days and loved every second of it. You definitly checked off all the main parts. Bummer you got less time than you thought you would but looks like you saw a lot of things regardless! I was in Tokyo twice in the past one year and this brings back such fond memories! You’re making me wanna revisit!!! I’ve always wanted to go to Japan! 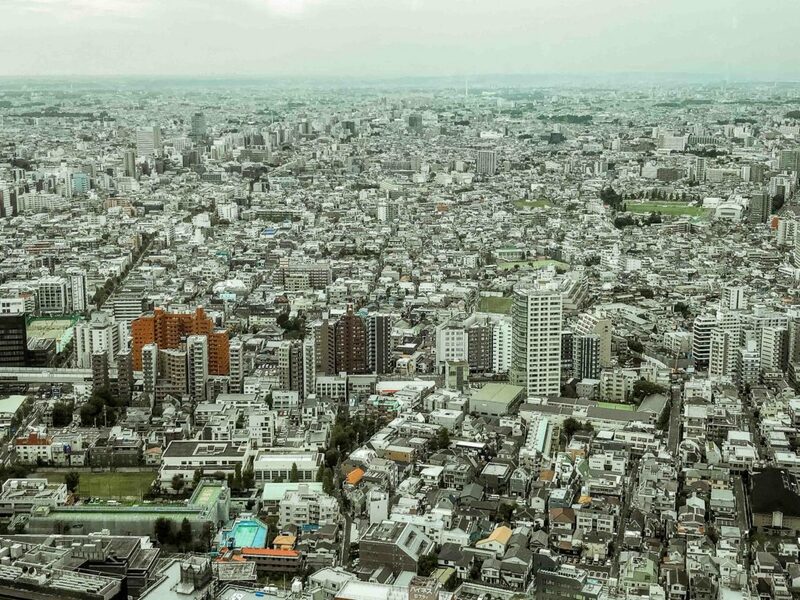 And Tokyo looks amazing. I’d love to visit the temples there, and it looks like fun eating out. Your waitress looks so cute! Haha. 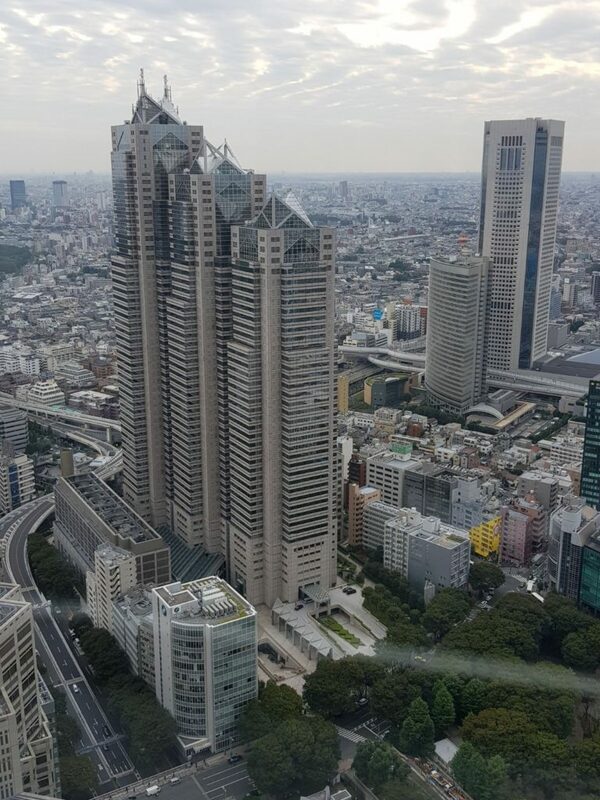 Tokyo is one of my fave cities! Too bad your trip was cut short but I’m glad you were still able to enjoy. 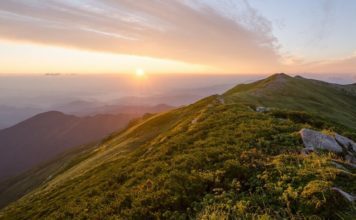 Next time you go, I’d recommend the Kansas area – Osaka for amazing food and nightlife, and Kyoto and Nara for cultural attractions. They’re definitely a world away from Tokyo and a lot more traditionally “Japanese”. That said, I haven’t been to Tokyo in nearly 20 years, so it’s probably about time for me to return! 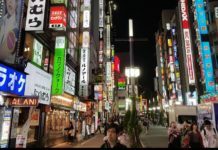 Wow you experience Tokyo in 2 days with your jam packed activities/sightseeing. Id love to see the shibuyan area too, that cafe looks cute very interesting and colourful. Tokyo really is like another planet. I haven’t been there but the photos and videos I have seen of the city really make the city seem different from anywhere else in the world. I have heard the sushi is a must in Japan and Mt. Fuji. I love everything Japan. Its rich culture is always celebrated from paintings to buildings to food. All depict a vibrant vulture. I’ve read of the Hachiku dog, lol. And that colorful bathroom? I’d be so suprised. 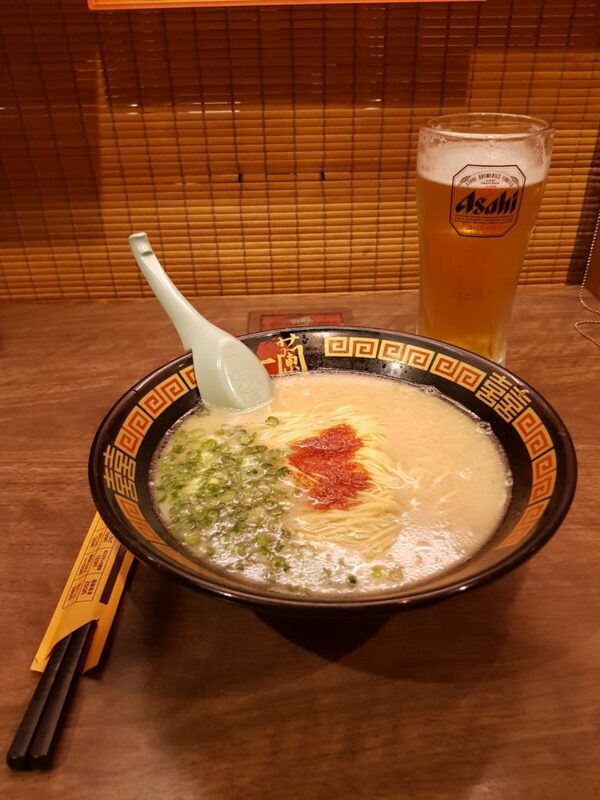 A list to Tokyo isn’t complete without ramen. I know. Your itinerary issute useful. I love Tokyo and the ins and outs of the city. The sheer street activities, while busy all seem to be moving in a disciplined manner. Thanks for this post, I am reminded of my memorable experience in this city. Tokyo looks like a dream! 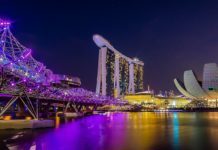 With the colourful lights and unique restaurants, I’ve been wanting to visit this country for quite a while. I usually rent a car when I go somewhere, but looking at all the people walking here, I’d definitely take public transportation, so it’s great to know the metro is efficient. I didn’t know it was expensive though, thanks for highlighting budget friendly tips. Having lived in Japan, and fairly close to Tokyo, I always enjoy these sorts of posts. Akihabara always seems like the place everyone MUST go, but I suppose it makes sense. It really is unlike any other place in the world, haha. I’ve never done a maid cafe though, still to this day. I think I’d be too embarrassed to be honest lol. But glad you had an entertaining experience! That ramen looks delish! 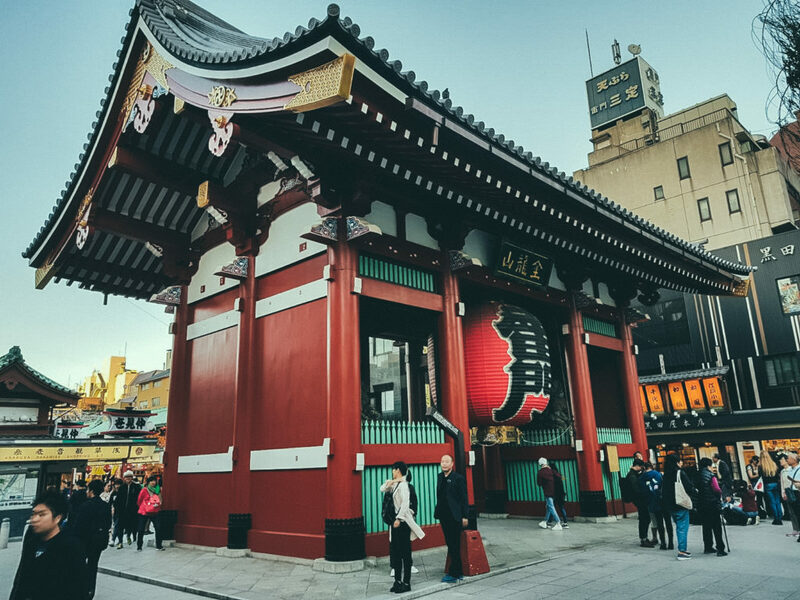 Tokyo is one of my favourite cities and this itinerary has made me want to book a flight and head back! I loved the hirajuku area and trying the food!